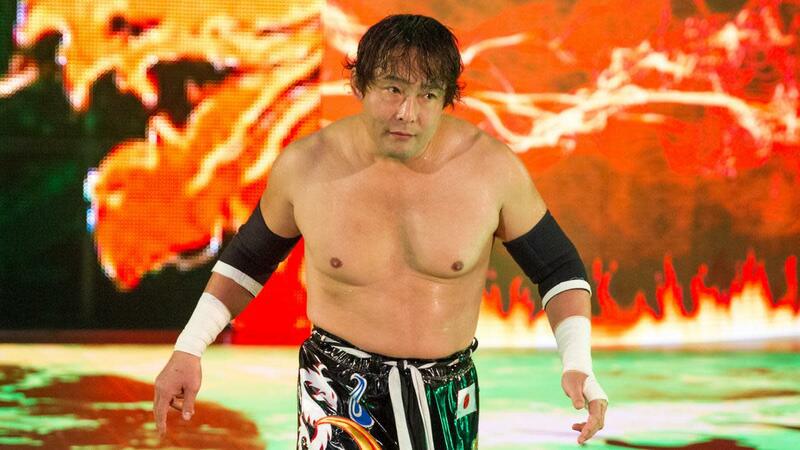 It appears that Tajiri won't be returning to WWE. Tajiri announced the news in a series of tweets written in Japanese last night. A translation provided by Chris Charlton noted that Tajiri said that he was cleared to return after suffering a knee injury earlier this year and was coaching at the Performance Center while he waited to come back to television, but WWE decided not to use him with his age being a factor. He said that he would be going back to Japan and had no regrets about his return to WWE. After taking part in the Cruiserweight Classic last summer, Tajiri made his 205 Live debut on the first episode of 2017 and was beginning a feud with Brian Kendrick. He last wrestled for the company in a dark match at a set of NXT tapings in January. WWE later announced that he wasn't cleared to wrestle after suffering a right knee injury at those tapings. Tajiri teamed with Shinsuke Nakamura against Samoa Joe & Bobby Roode in that match. Wrestling Weekly: WWE CWC, MITB, GCW & more~!